Adhering to the principles of gender equality, creative duo of artists created the male version of an iconic statue of Mermaid. 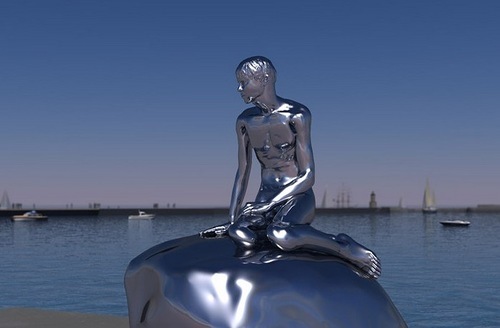 Anglo-German duo of artists, Elmgreen & Dragset are the authors of Han – male mermaid in the Danish town of Elsinore. 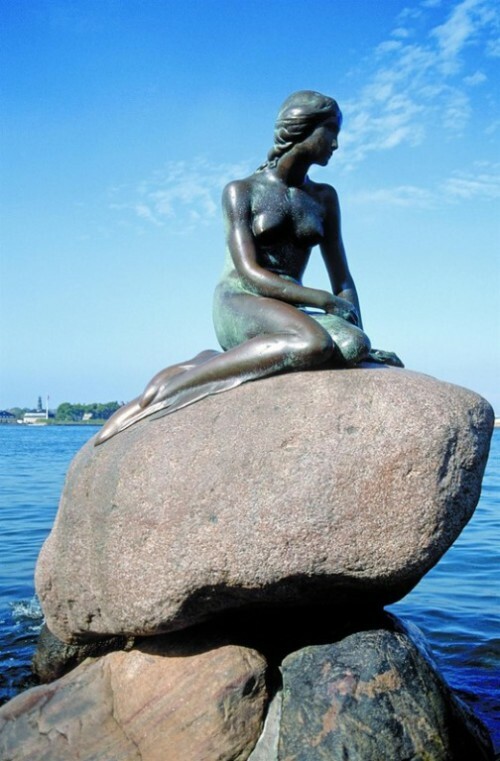 Traditionally, Copenhagen Little Mermaid continually attracts tourists, and the residents of the Danish capital. And even unbalanced people (a few times it became the subject of vandalism). In fact, this unusual sculpture, made of polished stainless steel, repeats the original Mermaid in posture, and size. However, there are certain differences between them. In particular, the eyes that once an hour due to the hydraulic mechanism close for a while, then open up again. 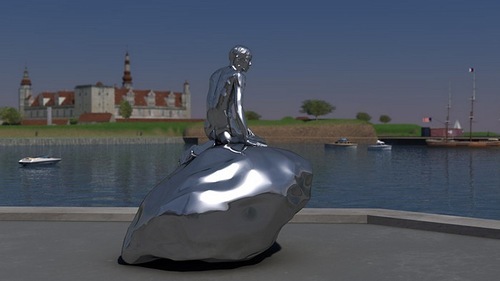 Official opening of the sculpture will be on June 2 in a large part of the festival, which will take place in Elsinore in the first days of summer. The Little Mermaid (Danish: Den lille havfrue) is a statue of a mermaid in Langelinie, Copenhagen, the capital of Denmark. Based on the fairy tale of the same name by Hans Christian Andersen, the small and unimposing statue (with a height of 1.25 meters (4 ft) is a Copenhagen icon and a major tourist attraction.